House District 28 Republican candidate Lemon Williams speaks during a recent forum hosted by the League of Women Voters. Why not hire the best person for the job? asks Republican District 28 state representative candidate Lemon Williams. In the race for the open seat vacated by longtime state Rep. Jo Anne Favors, residents of the district that covers an area from Rossville to North Chattanooga to Brainerd to Harrison have an opportunity to elect an entrepreneur to tackle the problems of a district that has 86 percent of Hamilton County's crime and 78 percent of its poverty. Williams says voters have the choice between someone who will "tell you it's raining or someone who will build an ark." We would ask district voters to carefully consider the newcomer's candidacy and elect him. "If [the district] is in play," Williams, 43, said, "it's a chance for people to get a better shake. We're asking for a protest vote against the status quo." The status quo is represented by Democrat Yusuf Hakeem, 69, who was elected a Chattanooga city councilman six times before losing a bid for a seventh term. He was endorsed by Favors in the Democratic primary. The former city councilman also has served on the former city Board of Education and the state parole board and says he has a "history and track record of working with people of all walks of life." He says Favors has "taken me under her wing." 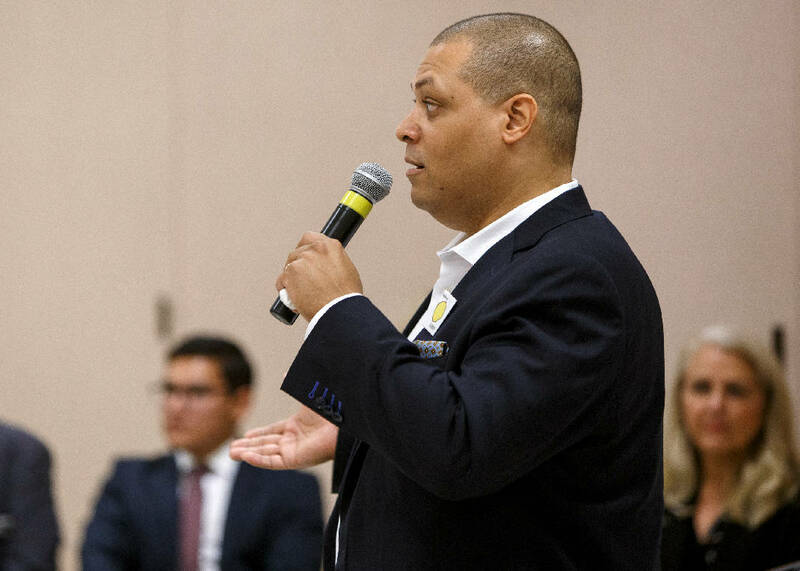 Hakeem certainly has experience in government, but we would ask district voters why they wouldn't want more than someone who will be Favors' next term. Williams, instead, sees an opportunity as a state legislator to work more closely with the Hamilton County Commission to make District 28 "the crown jewel of the city" through "improvement zones" that would take advantage of undeveloped commercial and former industrial spaces and attract new businesses. The right mix of advocacy and cooperation will go a long way to help areas such as Alton Park, East Chattanooga and Glenwood, he says. Williams also advocates "banning the box" (asking if job applicants have been convicted of a felony), encourages paroled prisoners to work to get their voting rights restored, suggests decriminalizing various minor offenses and says he is not opposed to Tennessee experimenting with medical marijuana. And while he says government should not make it more comfortable to be poor, he also says there is a need for a social safety net. As a fiscal conservative, he says if the state maintains lower taxes and a low cost of living and keeps inflation at bay, it assists people in all economic situations. "It's not hard to think about solving problems," Williams says. "I've put thought in on driving it all the way through." Hakeem says he would work on issues like education, health care and seat belts on buses, as Favors did. He also said criminal justice reform would be an interest of his. We believe it's time voters looked to a younger generation and a new party to move District 28 forward. We recommend a vote for Williams.